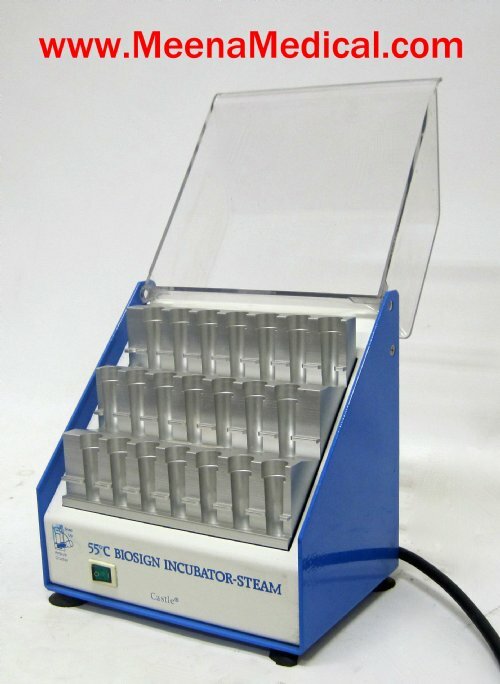 The Getinge/Castle 55°C Biosign Steam Incubator is used to accurately test biological indicators. This unit is Preowned and in Good Condition. 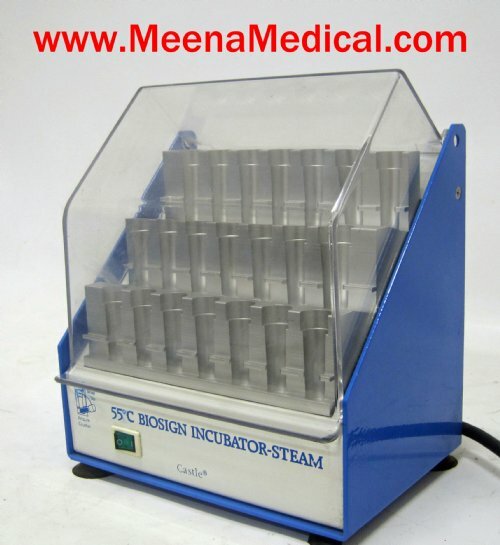 The Getinge/Castle 55°C Biosign Steam Incubator is used to accurately test biological indicators. This unit is Preowned and in Good Condition. The unit has been tested and maintained here at our facility. The unit has a 21 well stadium setting position, so all the biological indicators are easily accessible and visible at all times through the clear composite lid. The product uses durable materials in its construction and is built to last. 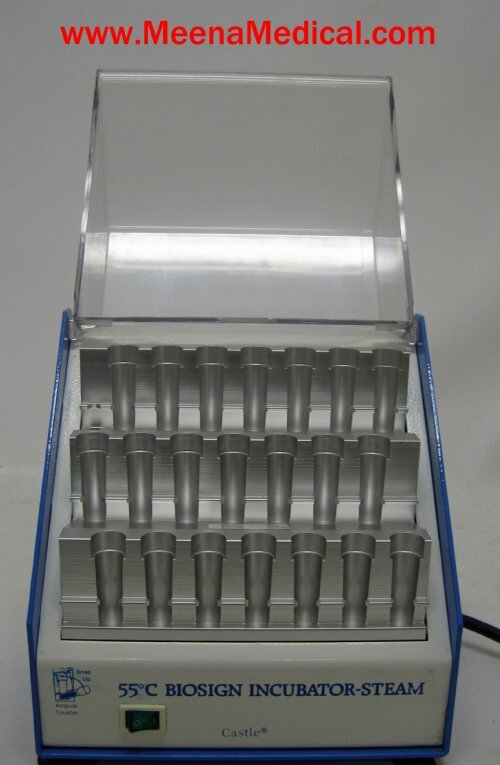 It can be used in smaller laboratory settings, or as a backup unit for a larger facility.